New Year, New Me, New CV! Here’s a secret that HR departments and hiring managers won’t tell you – the CV (or resume) is a job seeker’s most powerful weapon. An attractive CV that captures the attention of a hiring manager is much more likely land you an interview than a regular one that simply “states the facts”. So, if it’s been a while since you’ve spruced up your CV, make doing so a top priority in 2019! Not sure how to upgrade your resume from “drab” to “fab”? Here are a few easy-to-implement tips. 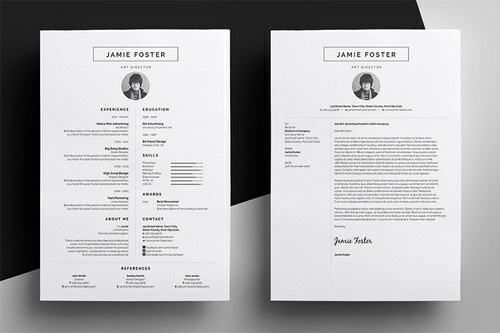 One of the best ways to instantly stand out from the competition is to make your resume more visually attractive. This can be done with simple design elements, an attractive and easy-to-read layout and a touch of colour. Not sure how to do this? You can hire a designer to add some visual flair to your resume. Think of it as a small investment to land a job you really want (with a salary you may now be able to negotiable a little more easily for). Or, look for a free template online and use that. Either way, be sure to add a creative touch to your resume with some design elements! You may not be applying for a job as Singapore’s next top model, but photos still matter. Even if employers aren’t selecting interviewees based on looks, including a photo (or photos) with your resume will give your future employer more confidence that you’ve got nothing to hide and are disclosing all relevant information to them. Just be sure to include photos that showcase your professionalism. Ensure your photo is fairly recent (i.e. taken within the past few years) and please, no selfies! Depending on the popularity of an available position, a hiring manager could receive anywhere from dozens to hundreds of applications for a single role. Your resume needs to be immediately noticed the moment a hiring manager opens your email, and not be mistaken as an unrelated attachment. If your CV is currently named “AUDREY-08911991-updated.pdf”, you’re already putting a barrier between your CV and your potential employer. 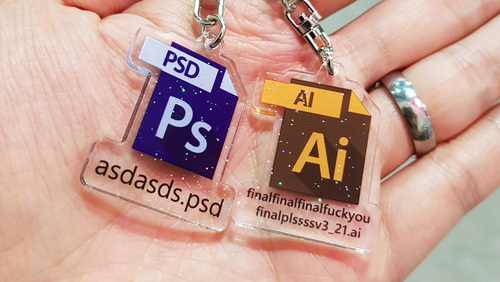 Instead, be considerate and include your full name and the position you’re applying for in your resume’s file name, along with the word “CV” or “resume” so there’s no second-guessing what this file is for (and who it’s from)! Sure you can be underqualified in your resume but did you know that recruiters and hiring managers may view your candidacy unfavourably if you're too overqualified? Remember that at the end of the day, employers want to work with motivated people who are a good fit for the job! To avoid this problem, you should tailor your resume to fit the position you're applying for. Leave out your specialised Master's degree and other post-college qualifications if you're applying for a non-specialised position. If you are looking to start on something less senior or lighter on responsibilities, it helps to detail down the reasons why so. Looking to make a career switch? If you think that job sounds too professional, it probably is. Keep it off your resume and bring it up during the interview instead. This is a small but important detail that job seekers often miss out. Do save your resume in a file format that your future employer can easily open. After all that good work you’ve put into creating/updating your resume, the last thing you want is for a hiring manager to realise that your file can only be opened on a different operating system, with the software they don’t own, or with a newer version of Microsoft Word that they have installed. To be sure you don’t run into any formatting or compatibility issues, simply save your resume in a .PDF format (although Microsoft Word files are also acceptable). PRO - TIP: Based on our experience, Microsoft word files saved with the (.docx) extension are a little troublesome to open and review. We recommend saving the resume as a (.doc) extension instead! Now, it’s time to take that “new year motivation” and use it to update your CV in all the right ways – so 2019 can be the year you finally get your dream job! Can't decide what you want to do in life? Drop us your resume, and we'll get one of our friendly recruiters to invite you down for a chat! Liked this article? Here are some reads you'll find useful!